Cloudy and windy with rain ending for the afternoon. High 49F. Winds N at 20 to 30 mph. Chance of rain 80%. Winds could occasionally gust over 40 mph.. Partly cloudy. Gusty winds diminishing after midnight. Low 38F. Winds N at 20 to 30 mph. Higher wind gusts possible. 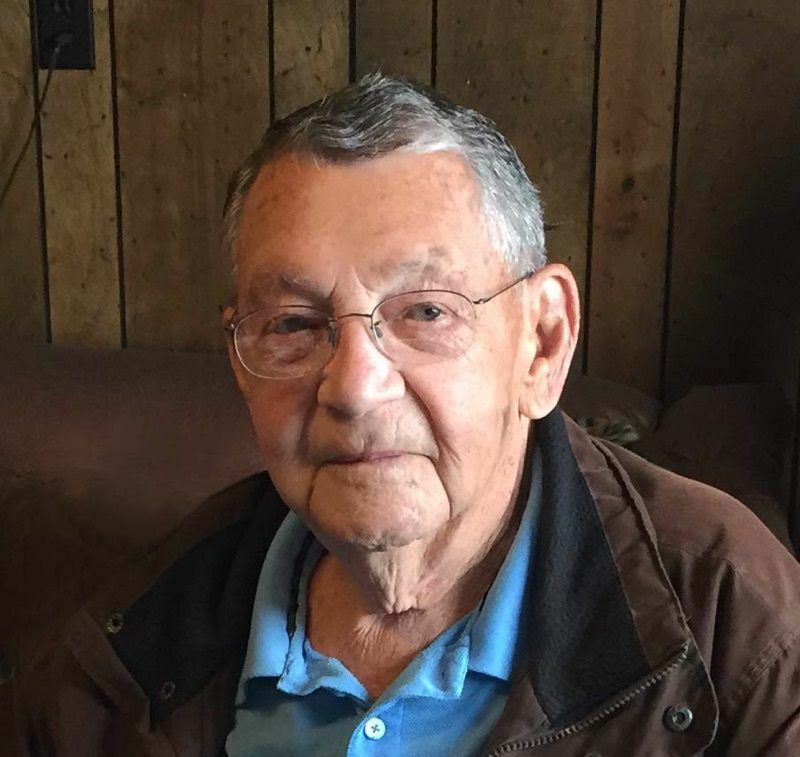 PARIS -- Glenn Marshall Hutchison age 98, of Paris, IL passed away at 9:07 a.m. Saturday, August 11, 2018 in Carle Foundation Hospital, Urbana, IL. He was a partner and proprietor at Parkway Furniture Store in Paris, being active for over 50 years. Glenn was a member of the 1st Baptist Church in Paris, a long time private pilot and served in the U.S. Navy. Graveside services will be 11 a.m., Wednesday, August 15, 2018 in Fairview Cemetery in Kansas. Burial will be in Fairview Cemetery. Visitation is private. Memorials may be made to the Kansas Christian Church or the Paris REC Center. Stewart and Carroll Funeral Home is assisting the family with the arrangements. Glenn was born March 11, 1920 in Mt. Vernon, IL the son of the late Willie Marshall and Vallie L. Robinson Hutchison. He married Leah Mae Tolbert Hutchison November 11, 1940 in Mt. Vernon and she passed away April 2, 1990. He later married Nancy Cassady McKenna Hutchison September 20, 1997 and she passed away March 28, 2012. Glenn is survived by his children Glynette (Charles) Kirchner of Kansas and Terry (Teri) Hutchison of Charleston; his grandchildren: Lisa (Alan) Lord of Charleston, Kurt (Tara) Kirchner of Kansas, Erin Hutchison of Paris, Lara Hutchison of Paris; his stepdaughter: Jennifer McKenna (Alan) Minnick of Paris; his step-grandchildren: Jessica Rohr of Charleston, Sophie and Will Minnick of Paris, 5 great-grandchildren and 1 great-great-grandson. He was preceded in death by a brother and a great-grandchild.